A twitter conversation about women scientists who should be honored with Bobbleheads reminded me of the time I met Barbara McClintock. My postdoctoral advisor, Bruce Levin, had brought me along to a small discussion meeting on the possible ecological and evolutionary effects of genetically modified organisms being released into the environment. The meeting was held at the Cold Spring Harbor Laboratory in 1984. There were two Nobel Prize winners there, at least part of the time, along with seven ecologists and evolutionary biologists. The Nobelists were James Watson, who was then director of the Laboratory, and Barbara McClintock. The ecologists and evolutionary biologists were Jim Brown, Rob Colwell, Monte Lloyd, Phil Regal, Dan Simberloff, Bruce Levin, and myself. I think there were also a few participants from the EPA and other agencies with an interest in the issues. As I recall, Barbara McClintock was the only woman at the meeting. The meeting was held in an old house. There were two small restrooms, one for men and one for women; each had just a single toilet and a sink. Because there were many men at the meeting, there was a line for the men’s room at the coffee breaks. Bruce Levin, being the smart guy that he is, decided during one break that it would be faster and more efficient to use the women’s room. The door was open, and so he went in. 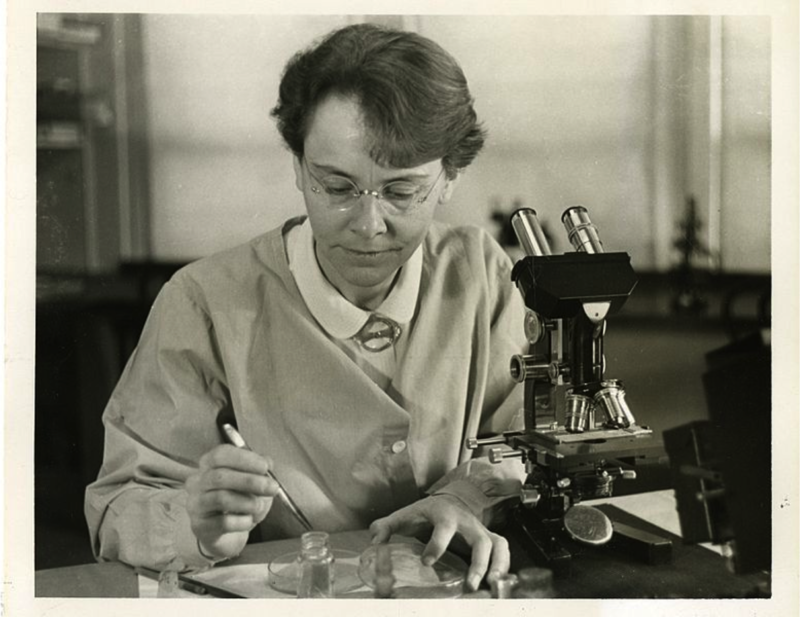 Meanwhile, Barbara McClintock also had to use the facilities. Seeing that the door was closed, she waited her turn. As Bruce came out, he was already a bit embarrassed to see Barbara waiting. And then she said, in a serious, almost scolding, tone, “Did you put the seat down?” Bruce – who usually has a quick comeback – was befuddled and didn’t know what to say. After a comic pause, Barbara just laughed heartily and went on in. So there was a warm and funny person, as well as a visionary scientist, behind that Nobel Prize!